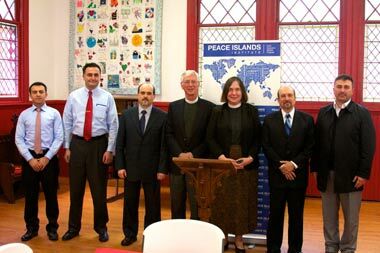 St. Stephen’s Episcopal Church, Beverly, hosted the Peace Islands Institute (PII) in an Abraham's Table event on Wednesday April 25, 2012. 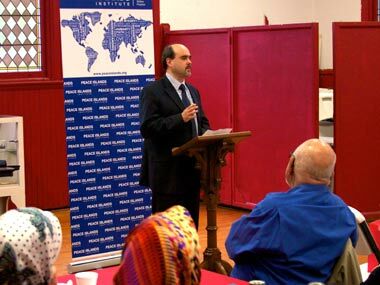 The theme was “Caring for Creation” from Christian, Jewish and Muslim Perspectives. 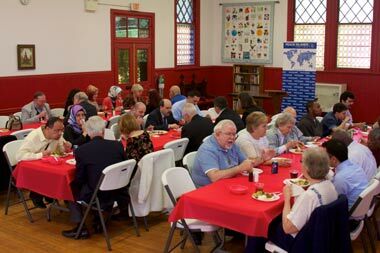 We thank the people at St. Stephen’s Episcopal Church and PII volunteers for making this event possible. 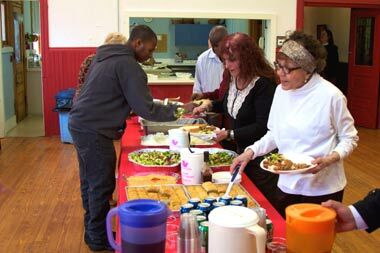 Lunch was also served which was prepared by the volunteers of the PII. Below is the very brief summary of the speeches. Principles in Judaism about God’s creation. God created the world therefore God earns the universe, the creation. We don’t have unrestricted freedom to misuse creation. It doesn’t belong to us, not only creation but even the essence of who we are. Our soul doesn’t belong to us. 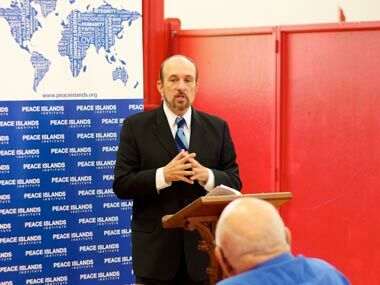 In Judaism, we are asked to see the world as God centered not human centered. More than 30 billion commercially produced water bottles, mostly made of PET, a plastic made from crude oil, are consumed annually in the US. Around 90% of PET bottles take between 450 to 1000 years to break down and in the process of recycling bottles more toxins are released to the environment. 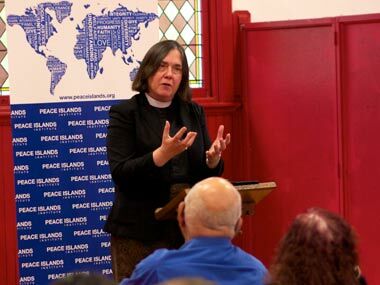 Religions are increasingly involved in understanding the environment as a religious, spiritual, ethical and moral issue. Religious groups are also claiming their prophetic calling to rise up what we have long been called to do and spend on behalf of the poor and the disadvantaged. Most people of faith are becoming aware of those who are poor, who are disproportionately affected by climate change, habitat loss and pollution. Bismillahir Rahmanir Rahim. The verse means, "In the Name of Allah, the Most Beneficent, the most Merciful." That’s known best to Muslims because we are saying it many times a day before beginning to any kind of daily activities. God is very gracious, merciful. He had so much love for this life and creation. “The seven heavens and the earth and whatever is in them exalt Him. And there is not a thing except that it exalts [Allah ] by His praise, but you do not understand their [way of] exalting. Indeed, He is ever forbearing and forgiving.” Qur’an 17:44. All the things in nature praise God in a way or another, we may or may not understand their language. Therefore we love and take care of the creation just because God created them.